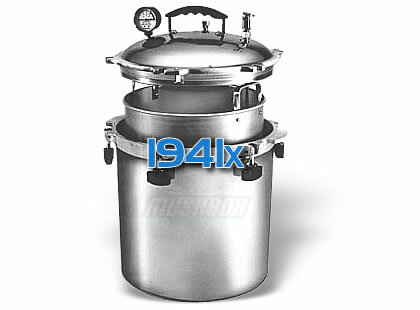 The 1941x cast aluminum dry steam sterilizer has a 41 quart/39 liter liquid capacity, with the inner container capacity of 27.9 quart/24 liters. These sterilizers have been made since 1930 and there are several million in service all over the world. 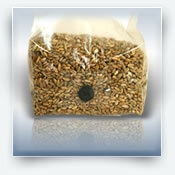 These units are very effective and can be used over any heat source. Creating a dry sterilization process that destroys all bacteria and micro-organisms in a matter of minutes. Only a small amount of water is needed to create the dry steam. 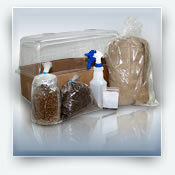 The unit includes all standard accessories, literature and instructions. This is a professional grade sterilizer and is perfect for all basic Mycology as well as: General Medical, Dental, Veterinary, Laboratory, Tattooing, Body Piercing, Health and Cosmetic applications. 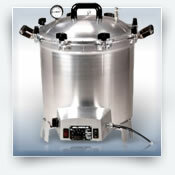 This is an FDA Listed autoclave and UL approved, 100% made in the USA. Fast, 35 minute sterilizing cycle. Calibrated guage that shows when sterilization cycle begins. Safety locking mechanism prevents opening while under pressure. Excess Pressure Relief Valve for Safety. Any outside heat source can be used such as a hot plate or stove top. 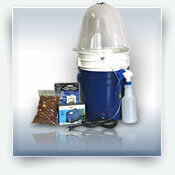 Light, compact, portable and robust, top loading sterilizer. Lubricated Metal-to-Metal Seal, no gaskets to wear out. 598 points will be rewarded to you when you buy this item.